Recognized favorably amongst their patients, NextCare Urgent Care, Thunderbird has an average rating of 4.7 stars out of 5 based on 766 total ratings. 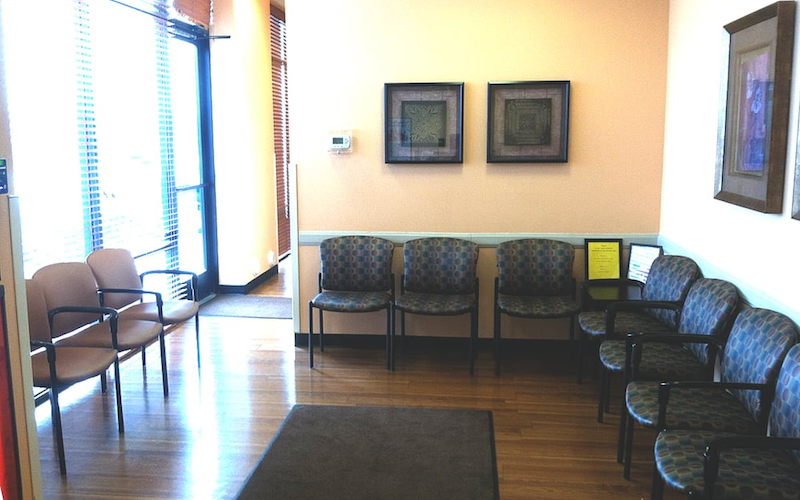 In fact, recent patients have frequently used words such as "ambiance" to describe their experience at the clinic. Certainly not terms you hear about healthcare providers too frequently! It was great. I didn’t wait as long as I usually do at the one by my house. They were all really nice! And helped me with everything in a good amount of time!! Wonderful staff was quick and efficient in helping with my foot wound. Very pleased with overall experience and highly recommend over emergency room. Very friendly, from the front desk, assistant, and the physician assistant, super friendly, extremely attentive, patient and answering all questions and concerns! This will be my families NextCare Urgent Care Facility! I obviously hate being sick yet love Dr Raybon. He is always very friendly, quick, and knowledgeable. Anytime I have went here or taken my children we get to feeling better quick. Thank you Dr Raybon. The doctor I saw today was amazing .. she took her time with me made me feel very comfortable I asked a lot of questions she knew every answer. She made the experience well worth coming in. Thank you again for being there. Dr or PA rushed in and out so quickly. I know my daughter is 18 but I was dismissed and not even acknowledged. Check in person was awesome, I think his name was Ozzy. Very friendly wait time was great. Great service from the whole staff. Very friendly, professional, and understanding to my need and concern. Arrived at facility at 7:55a.m. “Open” sign went up just before 8:00a.m. I paid my co-pay and then got called in very quickly. Preliminary things were done and was taken to exam room. Doctor came in shortly after that. She looked at my black and blue toe, said they’d take X-rays, left and the technician came in. He took me down to X-ray room, took xrays, and returned me to exam room. Doctor came in, said it looks like a hairline fracture but would tell more after examining the xrays. Tech came back in and said it might be awhile before get the results and they would call. I was there close to an hour. Very nice, pleasant people work at this facility! !